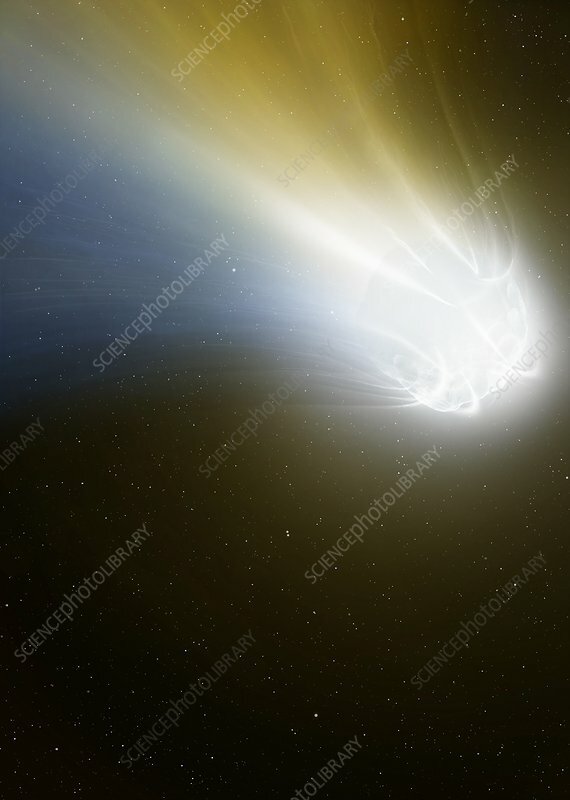 Artwork of the icy core (nucleus) of a comet. Comets are mostly frozen ices (water, methane and ammonia) and dust, and they are often referred to as 'dirty snowballs'. The nucleus of a comet can be many kilometres across. They orbit the Sun on highly elliptical orbits. When far from the Sun they are inert; but as they approach, the Sun's heat warms them up, surface ices begin to melt and jets of high-pressure gases begin to erupt from the surface. It is these gases that give the comet its distinctive coma (head) and tail.